"Very easy to blow, light weight, and sound reaches out very far"
Very easy to blow, light weight, and sound reaches out very far, so that your dog can easily hear. Highly recommend to dog owners. Recommended by my dogs professional trainer. Works very well. "Works great, definitely need the pea." Works great, definitely need the pea. Without the pea it is not nearly loud enough. "I am very pleased with its performance." I am very pleased with its performance. "It's saving my hearing, as well as getting the sound out to the dogs." I first used the Roy Gonia clear competition whistle for years. When the mega whistle came out, I was reluctant to change, but once I did, I liked it. Then one day I could not find the mega whistle, so I used the small one and it hurt my ears. It's saving my hearing, as well as getting the sound out to the dogs. "Great products and awesome service as always!" Great products and awesome service as always! Well made whistle. Have used them for some time. "I am very impressed with this whistle"
I am very impressed with this whistle, especially the fact that the sound travels out and not up into my ears. "Excellent whistle for both field and competition." Excellent whistle for both field and competition. Very clear and sound travels far. Won't freeze up in cold waterfowl conditions. Great whistle. Gets out there for long blind retrieves. "Easy to hold in my mouth and the sound carries well." Easy to hold in my mouth and the sound carries well. This was the whislte a professional trainer suggested we use. The dogs seem to respond better because the sound is directed and more focused towards the dog. It also cuts down on the db/noise insult to the handlers ears when using the whistle. I have used these clear Mega whistles for long range and running water for 30 years. In fact I still use one I purchased in the early 1990s. They work great for both competition and hunting. "keeps me from getting a headache while training by projecting the sound down range"
3 labs,1 yorkie. Hunts. Competes. keeps me from getting a headache while training by projecting the sound down range. The bell on this whistle keeps the blast out of my ears and out towards my dogs. They can hear this whistle in noisy and chaotic conditions. Quality product. "I use these almost everyday"
"Very effective and durable product"
Very effective and durable product. I have a dozen or so of these whistles. "I am pleased with the product, and again the company!!" Great customer service!!!! I like the Mega whistle, it performs well, sends plenty of sound out and away from hunters ears, it just seems a little to hard to blow, but I am pleased with the product, and again the company!!! Works great. My ears love it too. "Dogs respond well in high winds and driving rain"
It's the only whistle I use for hunting and running hunt tests. Dogs respond well in high winds and driving rain. I have been using this whistle for about 8 years. 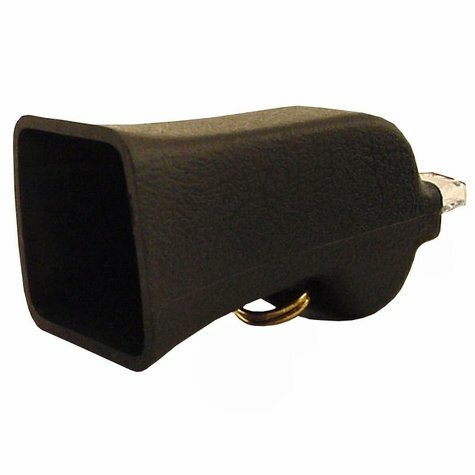 "Great whistle for up to 200 yards"
Great whistle for up to 200 yards. "Consistent sound and good quality construction"
Consistent sound and good quality construction at fair price. I've lost count of how many I own and have passed onto clients. Gets the dogs attention. She looks back everytime. Nice and loud. Great for windy days / long distances. "I absolutely love these whistles." I absolutely love these whistles. I've had a couple of these whistles. I like how the dog responds even at long distance, and the whistle doesn't kill my ears. It's only 4 stars because I've had some inconsistency in tone amongst the whistles I've owned, and it throws the dog off at first. Makes it hard to carry 2 whistles into the field to combat freeze-up. Flat-coated retrievers. Hunts. Family pet. Competes. It's a whistle. Not sure the cone does anything to protect my ears, but the whistle isn't so piercing as to be damaging. Suspect the cone is more useful at focusing sound toward the dog. Works well. I would order 5 or 6 and see which one sounds the best and return the rest. Even though it's the same whistle they will sound different (some louder than others). Not what I expected. I guess I bought the wrong one. I have been using this whistle for over 10 yrs, and now that they are made in China the peas are bad. Not to spec. One of the 3 I ordered, the pea sticks, and I like a pea in my whistle most of the time. I also use the answer, but really miss the quality they used to have!!!!!! I found this out after talking to Kevin Lee at SportDog after the last time I had a problem. Have to blow as hard as possible to make sounds. Way more air needed than any other I've ever had. Great sound and carry but entirely too much force needed. Requires far to much air. Why are these whistles so hit and miss?? They can't even make it through a training session without the pea sticking! Projects the trill of the Roy Gonia Clear Special for long range control while protecting the handler's ears.